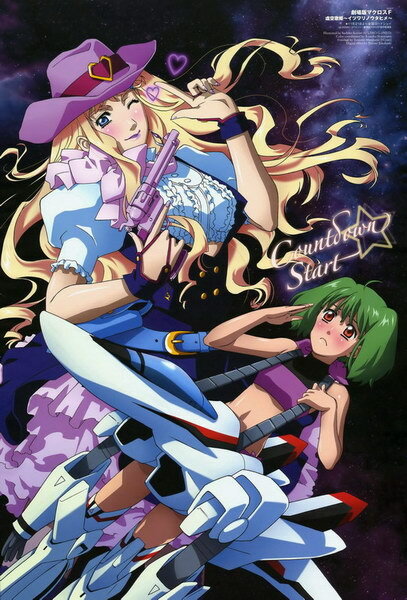 New single release from May'n featuring theatrical anime ""Macross Frontier The Movie 1st: The False Songstress. thank you for the information Kresphy! I don't think this have been posted, yet. 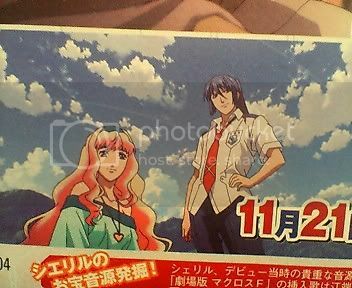 New Macross F Movie trailer (in case this is old news, ignore it). But...I can listen to it, but I can't seem to download it. Anyone else know how to make a copy? 2.超時空アンセム2009 息をしてる 感じている（TV Mix）※カラオケ Ver. Sheyl's 1st SINGLE, pink monsoon cover?? 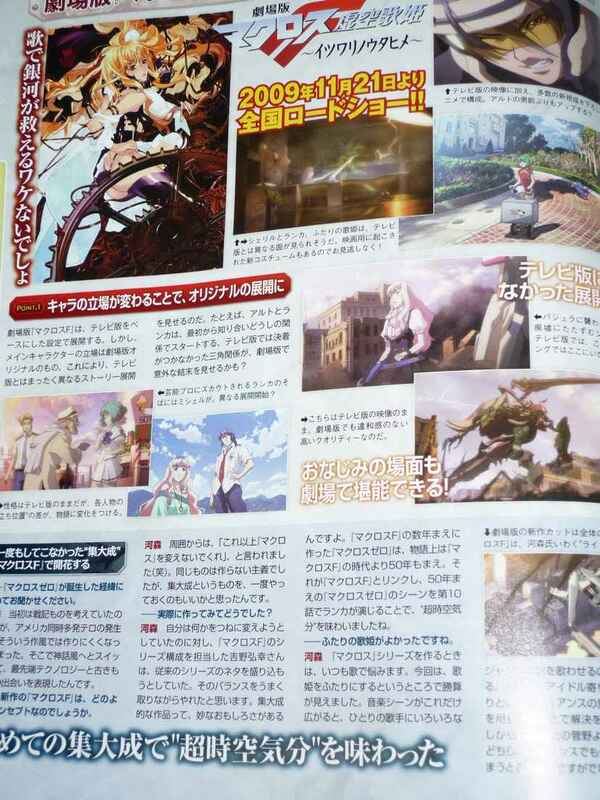 looks like something exciting is coming... can someone translate the page for us? Thanks. I asked you people to keep discussions to a minimum but obviously that was too hard. No discussions will be allowed in this topic. This topic will be for news and news only. Yapping posts will be deleted. To clarify, though, it may just be a provisional image. That's why I said "might". Nice find! Yeah, I did actually read somewhere that it would be a Mikimoto cover. Also, Animate will offer an exclusive mini-poster of the jacket with each CD sold. I can't provide a source because I forgot where I read it, but, there you go. EDIT -- As for the tickets, I guess it depends where you get them, but the standard ones are printed right at the convenience stores so there's no image or anything. To clarify, though, it may just be a provisional image. It's a raffle campaign, those who still haven't gotten tickets to the crossover live, go for it. I won't be going, though, as I will be away. Have you guys seen the latest Mass Mutual commercial? Mari Ijima is in it. GULP!!! OK, somebody's got to help me before I get too excited. On the new Macross webpage, in the background there are squares playing anime footage from the different Macross series, right? 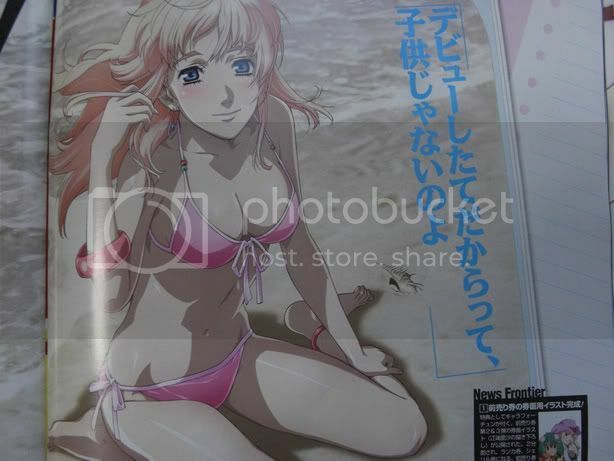 Well there appears to be several scenes from the original Macross that have been 'GULP' re-animated?!!!! Now before I get my hopes up and start thinking Big West might re-tell SDFM in a new animated series, does anybody else see this? I mean it's 3:53 in the morning right now and my eyes could be playing tricks. Oh, man, this thread is quickly becoming a mess of miscommunication. Ideally we should have posts with both links to pictures and/or news stories, and also to the relevant threads talking about the specific thing if there are any. And BlueMax, no offense, but I think you might want to look closer at the monitor, or at least check your facts before you post, especially on this thread. the point(Sheryl taking a bath)!!! Sheryl won't escape after Alto's blame. Hidetaka Tenjin is interviewed in the "Super Dimensional Disc" included with the special edition of Macross Ultimate Frontier for the PSP. 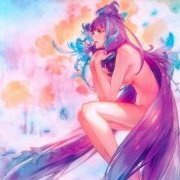 He reveals that the Macross Quarter has been redesigned in some way (no images shown) and "will give off a totally different impression". There were a few more "revelations", I will post them here as soon as I remember them. 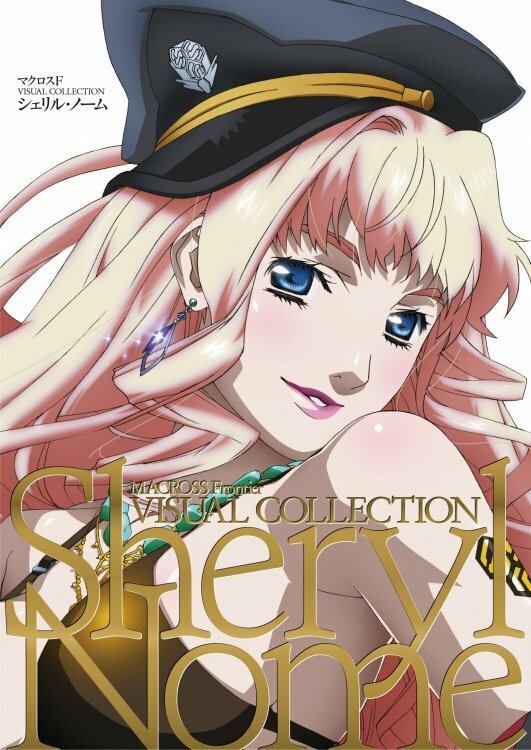 Where is this Sheryl image from? A new, small size artbook that's coming out. I don't know if this has been posted, but these are the Victor Entertainment samples to the new Sheryl single coming out on October 21. I like them both! Pink Monsoon in HQ sounds really better than the ones we've heard before. I was watching this on the train this morning. If I recall correctly, he also said it would be a totally different colour. 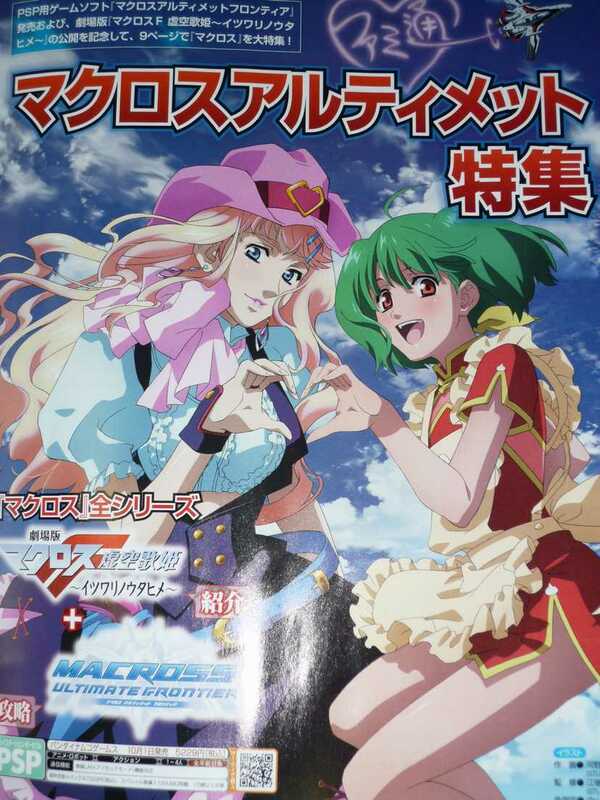 In the Kawamori interview, the fact that Ranka and Altos first meeting will be totally changed was revealed. Oh yeah, that was it. 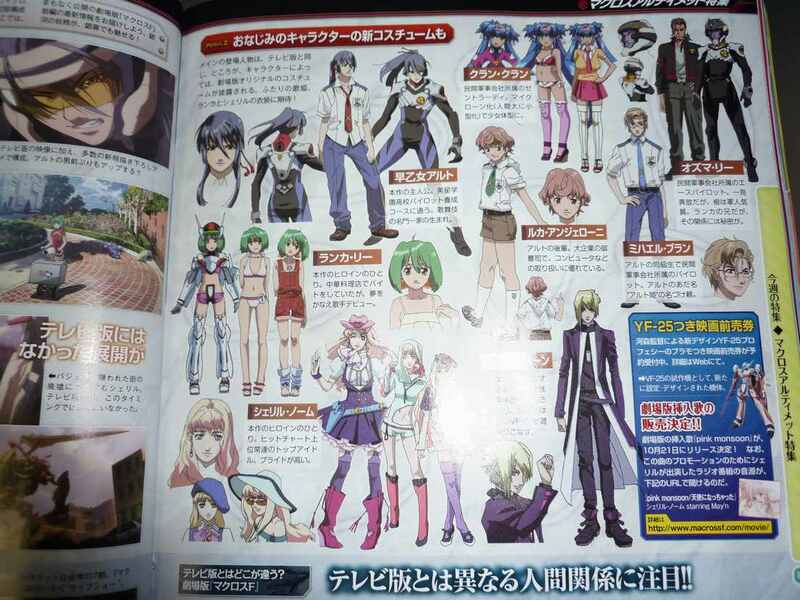 Ranka and Alto are already friends. 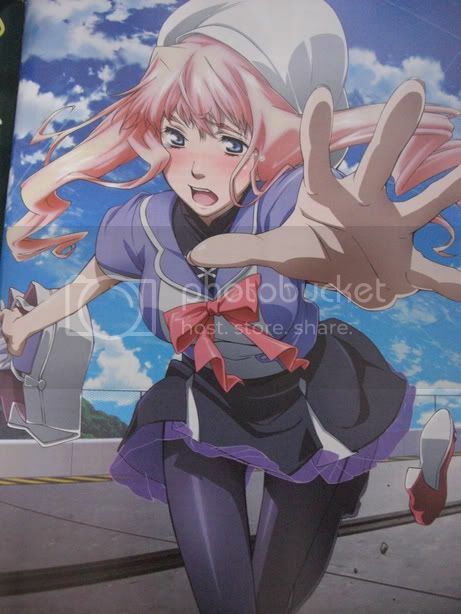 But the opening concert's location is changed from the Tenkuumon to the Seidoukan (that's probably why we see Sheryl next to Alto when the first Vajra attacks in the new magazine scans). So Kawamori says that if the story begins in the Tenkuumon, you get the TV show, but if it starts in teh Seidoukan, you get the movie. 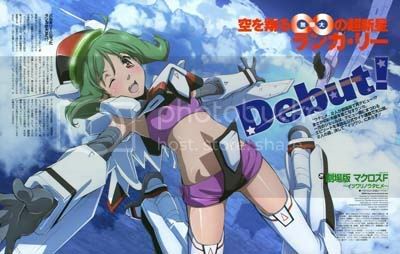 Other than that, a rough cut (animated storyboard) of a new shot from the movie was shown, it was of Ranka on her segway speeding through San Francisco.